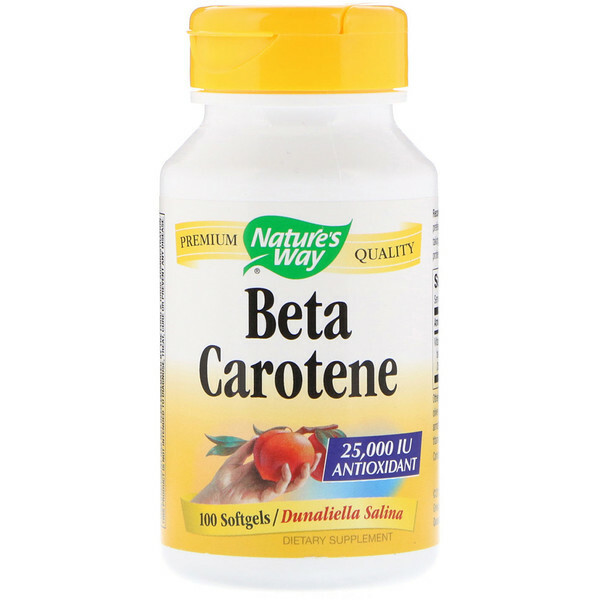 Beta Carotene combats free radicals and oxidants that damage cells and DNA. It can also be converted into Vitamin A in the liver. Our Beta Carotene is carefully tested and produced to superior quality standards. Recommendation: Take 1 softgel daily, preferably with food. Soy oil, gelatin (capsule), olive oil, glycerin, purified water, soy lecithin, annatto seed extract, caramel (color), titanium dioxide (color). 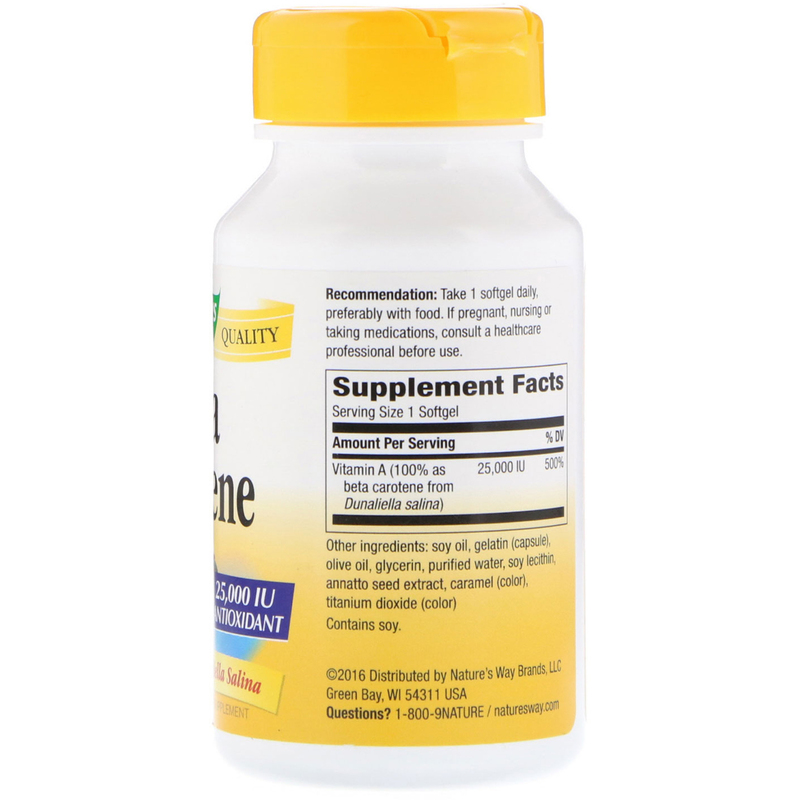 No sugar, salt, yeast, wheat, corn, dairy products, artificial flavors or preservatives. If pregnant, nursing or taking medications, consult a healthcare professional before use.